Citi Forward® for College Students is a credit card by Citibank designed to help college students build their credit history. Unlike the Citi Dividend Platinum Select card for students, the Citi Forward card rewards purchases with ThankYou Points rather than cash back, and gives students additional incentive to stay within credit limits and make payments on time. Sign-up Bonus. When you spend $500 with your card within the first three months of opening the account, you are awarded 2,500 bonus ThankYou Points – equal to a $25 gift card. Fees. The card has no annual fee, and the balance transfer fee is $5 or 4%, whichever is greater. The foreign transaction fee is 3%. APR. There’s a seven-month introductory APR of 0% on purchases after the account is opened. The balance transfer APR and the APR on purchases following the introductory period is 13.99%, 18.99%, or 23.99%, depending on credit-worthiness. This rate varies according to the prime rate. The penalty APR of up to 29.99% is applied following a late or returned payment. ThankYou Points. The Citi Forward for College Students card rewards purchases with ThankYou Points. You are awarded one ThankYou Point for each dollar spent on all purchases. Redemption of Points. Rewards start at 1,000 ThankYou Points and are redeemable for gift cards, music, electronics, statement credits, and student loan rebates. ThankYou Points are worth about one cent apiece when redeemed for gift cards. If you redeem points for cash, each point is worth about 0.625 cents. APR Reduction. By making purchases, staying within the credit limit, and paying the minimum amount due on time for three consecutive months, cardholders have the opportunity to lower their APR by 0.25% each quarter. The purchase APR can be reduced up to eight times with a maximum reduction of 2%. Bonus ThankYou Points. You also earn 100 bonus ThankYou Points each month you stay within your credit limit and make at least the minimum payment due on time. You are not eligible for this bonus if there is no minimum payment due at the end of a billing period. Online Price Checking. The Citi Forward card includes Citi Price Rewind, which tracks online purchase prices for 30 days post-purchase. All you have to do is register your purchases with your account, and Citi Price Rewind monitors the product online and checks whether a lower price becomes available. If a lower price of at least $25 is found, you receive the difference as a refund. Cellular Telephone Protection. Pay your cell phone bill with your Citi Forward card each month to receive cell phone protection coverage. If your cell phone is stolen or damaged, this coverage provides a maximum reimbursement of $250 after the $50 co-payment. Sign-up Bonus. Although the sign-up bonus is only equal to about $25 in gift cards, many student cards do not offer a sign-up bonus at all. If you are planning on making purchases of $500 within your first three months of opening the account, the bonus is fairly easy to earn. No Annual Fee and 0% APR. The Citi Forward card is fee-free for the first seven months, featuring no annual fee and a seven-month 0% introductory APR. During the first seven months, fees are only applied if there’s a late payment, returned payment, or a balance transfer or cash advance placed on the account. Low Value on ThankYou Points. While ThankYou Points are redeemable for merchandise, gift cards, cash, and more, the points themselves aren’t worth very much, For example, to redeem your ThankYou Points for cash back, you must choose between denominations of $50 or $100 for 8,000 or 16,000 ThankYou Points, respectively. This means that each point, when redeemed for cash, is worth just 0.625 cents per point. If you redeem your points for gift cards, points are usually worth one cent apiece. For example, a $25 gift card for Barnes and Noble is usually 2,500 ThankYou Points. Low Number of Bonus Points. You can earn up to 1,200 points per year for paying on time and staying within your credit limit. While this sounds generous, 1,200 points isn’t even enough for a $25 gift card. Monthly Bonus Is Not a Great Incentive. When you don’t carry a balance on your account, you’re not eligible for the 100 monthly bonus points. In order to receive this bonus (which is only the equivalent of about a dollar), you are, in a way, forced to use the card every month. While it encourages paying your balance on time, it also encourages carrying a balance. APR Reduction Is Unhelpful. While the APR reduction benefit sounds helpful, it doesn’t really amount to much. It takes a minimum of two years to receive the maximum benefit of a 2% reduction, and if your APR is already at 18.99%, lowering it to 16.99% only serves to lower the rate from very high to slightly less high. If you’re paying your balance in full each month anyway, the APR reduction isn’t really worth it. Foreign Transaction Fees. The Citi Forward card has a 3% foreign transaction fee – the highest foreign transaction fee out there. If you travel frequently outside of the United States or you’re thinking of studying abroad, you should consider a credit card without a foreign transaction fee, such as the Discover it card or any of the Capital One cards. There are also many other travel rewards credit cards with more benefits. Similar to the Citi® Dividend® Card for College Students, the Citi Forward card is a basic rewards card that allows students to earn rewards while building credit history. If you prefer a card which awards a flat rate rather than varying rates based on rotating categories, the ability to earn one ThankYou point for every dollar spent, could at the very least, be a more convenient option. 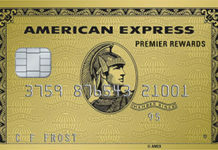 However, this card’s benefits are also limited if you travel frequently outside the United States. Furthermore, if you don’t plan to pay your balance in full each month, the high post-introductory APR is not worth any of the perks or bonuses offered. The Citi Forward® Card for College Students is worthwhile if you need a card designed to build credit, rather than a card flush with rewards. If you already have a positive credit history and are accustomed to paying your balance in full each month, look for non-student rewards cards offering better benefits. 3.5 out of 5 stars: You aren’t able to earn cash back with the Citi Forward for College Students card unless you redeem ThankYou Points, which are not worth much. The card also does not offer the best introductory perks or bonuses.